This is a very high-yielding tea camellia, native to the Assam region in Northern India. A half hardy variety, it will make a lovely house plant. In frost prone areas grow in a container outdoors in the summer and bring inside for the colder winter months. Prune after flowering in late spring. Easy to prune and keep to a compact and dense shape. If left, it can after many years grow into a tree. However in our climate this would be unlikely to occur. 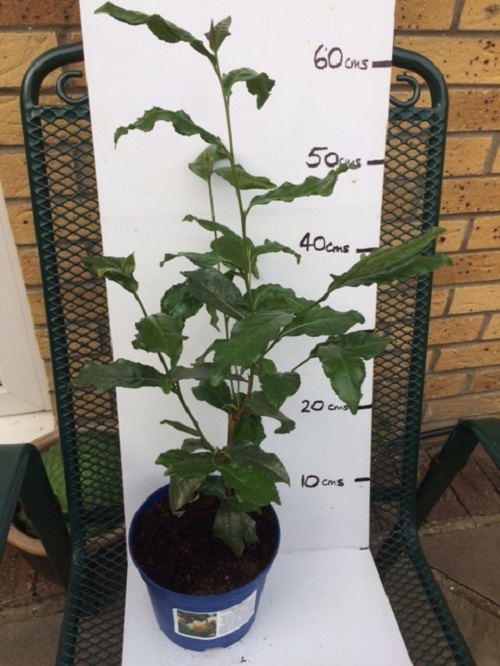 Our tea Camellia is grown and dispatched in it's own growing pot. Very pleased with my package of plants. Strong and healthy. Looking forward to a brew in a few months! I grew frustrated trying to germinate my own seeds as they are taking forever. So i decided to buy some young plants whilst i wait. I do intend to grow and harvest and drink my own tea as a hobby. I was very pleased with the quality of these plants, well packaged, healthy and strong. A little expensive? No not really when you consider how long they take to germinate. I was impressed with the size of them and they are robust. Very pleased.